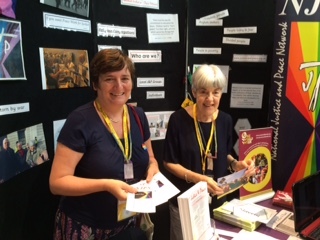 On Saturday 11 July, together with people from all parts of England and Wales, I gathered in Birmingham for the Proclaim 15 event to promote the New Evangelisation. We were promised a line up of inspiring speakers and were not disappointed. The morning session was opened by Bishop Bernard Longley, then followed interviews with Nicky Gumbel and Michelle Moran and in the afternoon Cardinal Nichols spoke. The thrust of the day was to promote a “new ardour” through prayer and a personal relationship with Jesus Christ. The second workshop focused on providing practical ideas for building parish evangelisation teams, stressing the need foadequate preparation and opportunity for formation. The music was excellent, and the Mass prayerful, the bustling market place where various organisations provided information and resources showed the wide range of activities already happening.